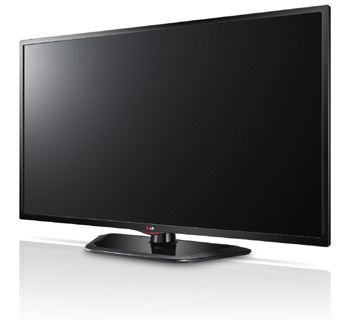 Last year LG had lots of LCD-flourescent CCFL backlit models to choose from in 32 inches but not this year. The 32LN5300 has LED backlighting for increased brightness and performance and also has 1080p resolution. It refrains from many expensive features such as Smart TV, 3D, and a high Hz rate to offer more value at a more reasonable price. It's still a nice quality piece and one of the top quality pictures you will find on a 32 HDTV for 2013/2014. Although you are likely to experience some judder and motion blur with the LN5300's 60Hz processing it is normally not a big issue or that distracting on a smaller screen like this. Though contrast is not listed as high as many of the the more expensive TVs in the lineup, it also is not be much different, either in actual quality or in appearance on the 32 inch TV size. This is the second to top of the line 32” TV from LG for 2013 through 2014 and with so many lower end off-brands on the market today in the 32 inch size we need options like this for quality and features. The picture from this TV tops any off-brand 32 inch model in the market. The price is still very reasonable and there are only a handful of quality competitors.